What makes a good poster? Well, posters need to grab the attention of passers by. So they need to make a visual impact, with creative graphics that attract the eyes of people who see it for a second or two - maybe less. However, at the same time a poster design needs to convey information. They aren't just works of art. They have to provide details about prices, discounts, contact numbers and dates. But they have to do so without filling the space with words and numbers. That's a tricky balancing act to achieve, but doing so is easier when you use QR Codes on posters. You've almost certainly come across these clever little Codes - the ones which look a bit like a box of white noise, with a series of squares placed at three corners. They are designed to be scanned by camera phones, providing an instant link between the document or packaging being scanned and whatever online location the creator wants customers to visit. When we're talking about posters, this could be EventBrite pages for conferences, BandCamp band sites, or simply the home page of a small business. This means that instead of filling valuable poster space with words, the information you need to provide can be stored elsewhere. It's a space efficient, elegant solution to the balance we talked about earlier. Designers and marketers have come up with some great ideas about how to use QR Codes on posters, so you won't have to look far for some inspiration. To help you get started, here are five of our favorite ways that smartphone-scannable Codes have taken poster design to another level. In 2011, CBS re-released the 70s classic "the Mechanic", and wanted a way to link to the movie's site without compromising their aesthetic. So they added a QR Code within their main graphic design, allowing fans to find out more about the film. Back in 2009, the Scottish rock band Mogwai marketed their New Orleans gigs with a series of posters featuring an oversized QR Code. By scanning all three, fans could decode a hidden message from the band, as well as accessing full info about when and where to see them. One of out favorite Code-based designs comes from soft drinks giant Coke. Wanting something informative but minimalist, they created an image of someone opening a can, with the QR Code included in an escaping cloud of fizz. It doesn't just make you want to scan, it also makes you thirsty - a great combination. After a rise in pickpockets on London's subway, the authorities created eye-catching posters designed to raise awareness. A scannable Code in the corner was the perfect addition, sending viewers to an informative video about keeping their possessions safe. Starbucks created one of the all-time great Code-based posters simply by arranging coffee beans into the shape of a QR Code. Simple, totally on-brand and hard to resist, it's a textbook example of getting Code-based posters right. These examples have been created by professional design teams with plenty of resources behind them. But that doesn't mean everyday businesses can't use QR Codes on posters. Actually, it couldn't be easier. The secret is to use poster templates wisely, mixing up images and text with a scannable Code, while spending as little time as possible fine-tuning your poster design. There are templates for all kinds of business or organization, from schools to swimming pools, so it's well worth checking out the options. When you do, take your time to find a layout with space to tell your story and show off your brand. And don't forget to link to a Facebook page or website which is directly relevant to the content of the poster. 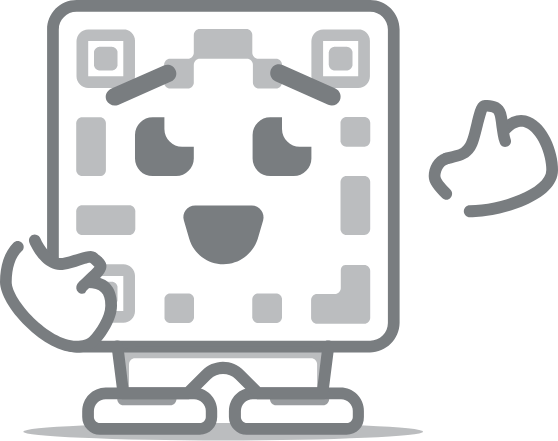 At QR Code Generator, we make it easy to add custom-made Codes to the perfect layouts. To get started, simply download our print guide and design guide, and engage your creative genius. In no time, you'll find ways to turn middle-of-the-road posters into irresistible marketing tools.